The Unusual Size Steel Grating refers to the irregular shape of the steel grating, and its production and production are all produced according to the requirements of the drawings. The problem of area calculation of Special-Shaped Steel Gratings is a problem that many customers find difficult to understand. As for why our manufacturers do not charge according to the finished area of special-shaped steel gratings, they charge according to the area after completion. The weight of gratings varies after end welded and hot galvanizing process. For normal industrial platform using 30 mm pitch bearing bars, the weight will increase by 12%; 14% for 40 mm pitch bearing bars and 16% for 60 mm pitch bearing bars. Irregular Steel Grating with special shapes and for special use. Specially shaped steel grating is based on the actual needs of customers to produce a variety of irregular shape of steel grating. 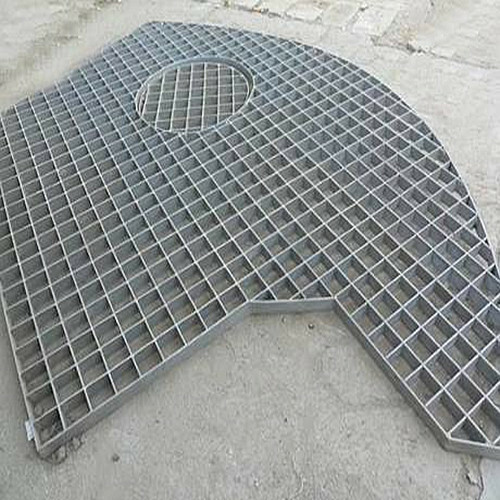 Specially shaped steel grating has an anti-slip surface, high load bearing capacity, corrosion resistance. So it widely used as well covers, industry operating platform of factory and floors of the fountain. Looking for ideal Irregular Steel Grating Manufacturer & supplier ? We have a wide selection at great prices to help you get creative. All the Special Shaped Steel Grating are quality guaranteed. We are China Origin Factory of Round/Square Steel Grating. If you have any question, please feel free to contact us.